Click on the Property Search button at left to search the entire Kerrville MLS and see every Photo available for all listings! Homes for sale in Kerrville, TX. Whether you are looking to buy or sell a home, townhome, condo, land, ranch, or commercial property in The Kerrville, TX area then you have come to the right website. 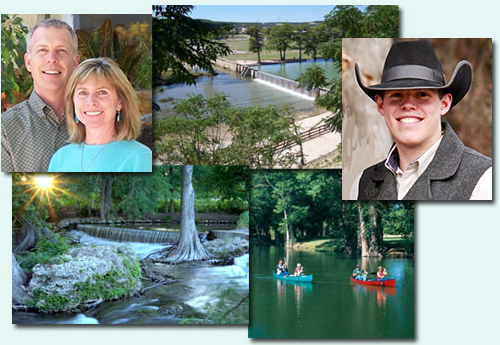 Here you will find a wide array of information about Texas Hill Country real estate for sale. Please click the search button to find your next dream home or property. We also invite you to create your own account, so that you may save listings that you are interested in. By working with a Kerrville Realtor, you have the advantage of being able to access all local listings available through the Multiple Listing Service, MLS. Using a Realtor also gives you the comfort of knowing that you are working with the most qualified professional who is dedicated to you as the buyer or seller and will always be looking out for your best interests and striving to make the process of buying or selling real estate as comfortable and pleasant as possible. Please click the Contact button or use the phone number to contact "The Douglass Team" today!